Mandatory Hajj Draft Fee of $350 per person. KSA has introduced two taxes recently a 5% VAT and an additional 5% Municipality Fee. Aleman Groups USA is sharing some of the increased costs due to these taxes. Your portion of the increase costs is $450 per person, which includes the VAT and Municipality Fee. Staff at the hotel will guide you to the restaurant area. You must wear your ID to enter the area. Enjoy your stay in Medina and offer your prayers at Masjid Al Nabawi. Educational lectures begin after breakfast at Dallah Taibah Hotel. The lecture will be on the first floor in the Dallah Taibah restaurant area. The entrance to the restaurant is located on the 1st floor accessible only from the elevator station at the main entrance on the right. To enter you must show your Aleman ID. 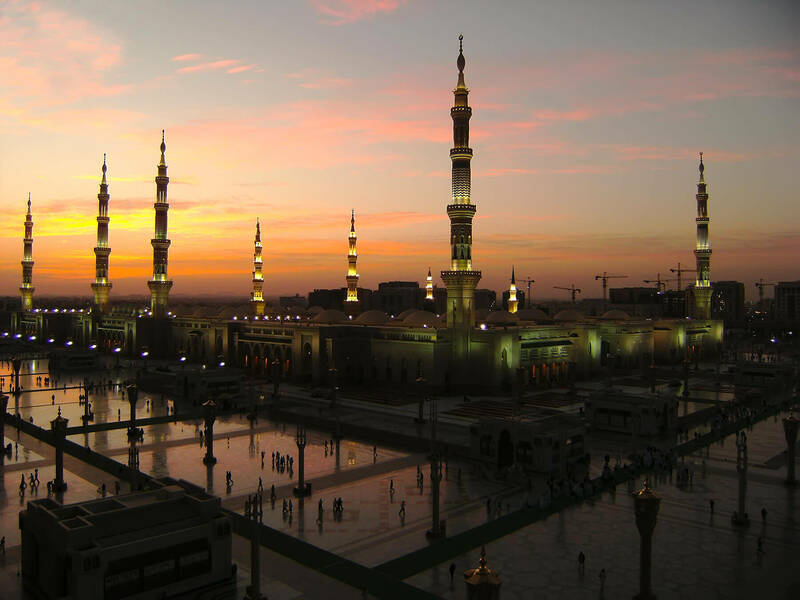 You will also see 3 exhibitions in located close to Masjib Al Nabawi (The Holy Quran Exhibition, Seerah Exhibition, Asmaul Allah Alhusna Exhibition. 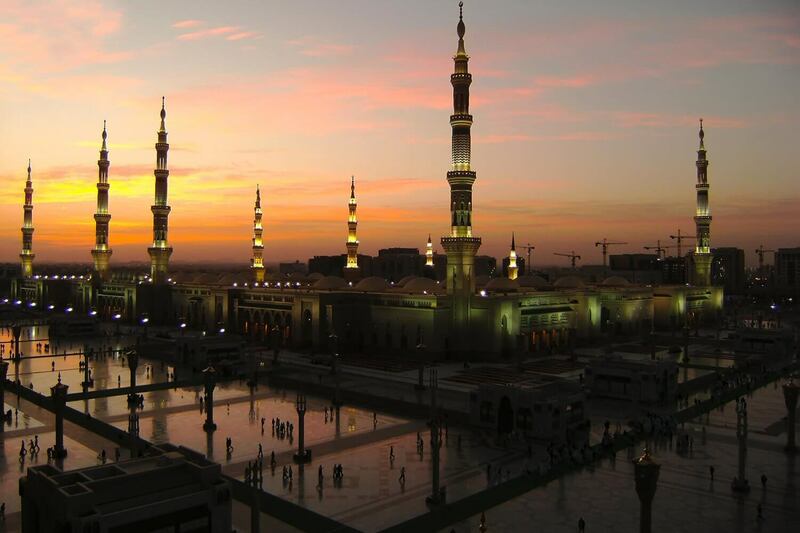 Enjoy your stay in Medina and offer your prayers at Masjid Al Nabawi. 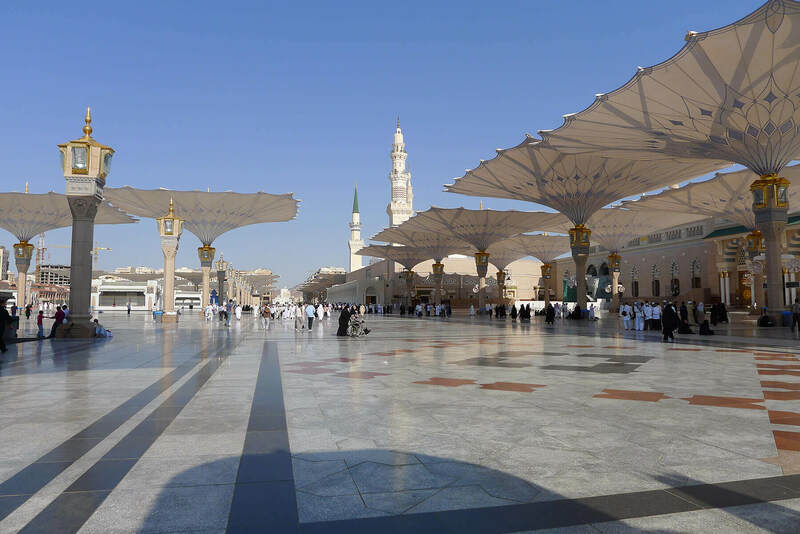 Offer Jummah Prayer on August 16 in Medina. Buses will be outside the hotel and you will be guided by the staff to their location. Please have your breakfast early and be on time to avoid missing the bus. 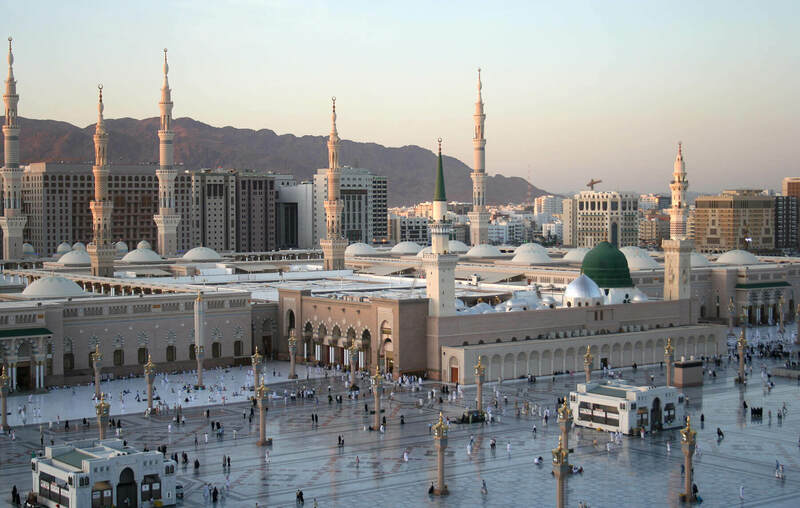 You will fly into Jeddah early morning on this day and will take Aleman’s private buses from Jeddah to Makkah. A bus list will be posted in the restaurant area of the hotel which will indicate which bus you will board. You will then be taken to perform Umra. The buses will be waiting for you at the bus stop located next to Swissotel Makkah. 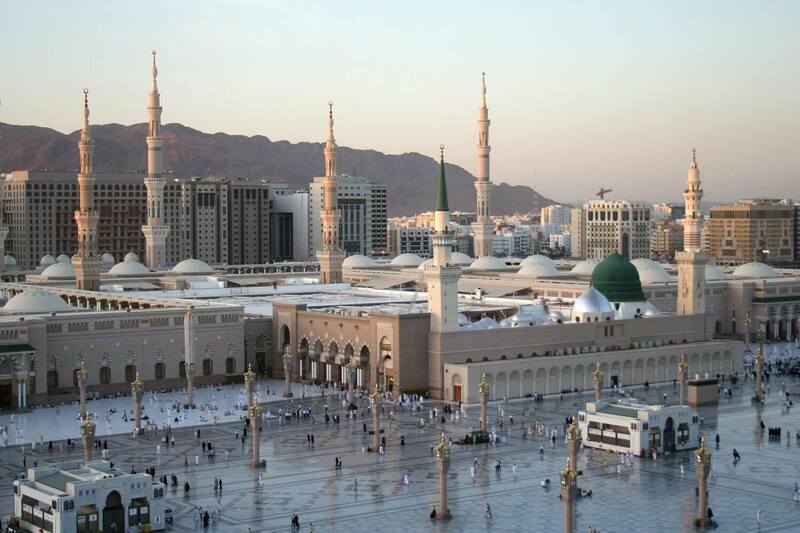 You will have your breakfast in Mina and after breakfast you will throw perform Ramii at Jamarat. Afterwards, you will get ready to go to your room at the Fairmont Hotel for 3 nights from August 23-25. You will depart for Jeddah airport according to your flight schedule. You will board the bus appointed to you and be on your way to Jeddah. 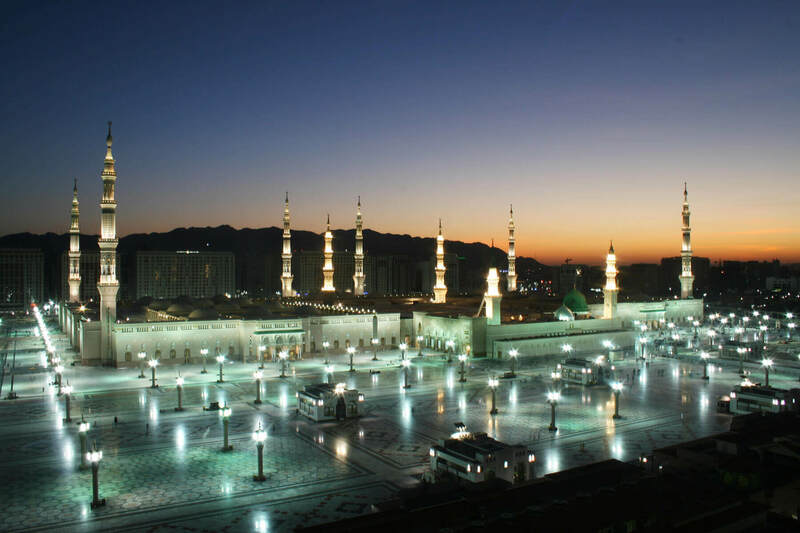 We will give you Zam Zam water bottle to take with you back home.